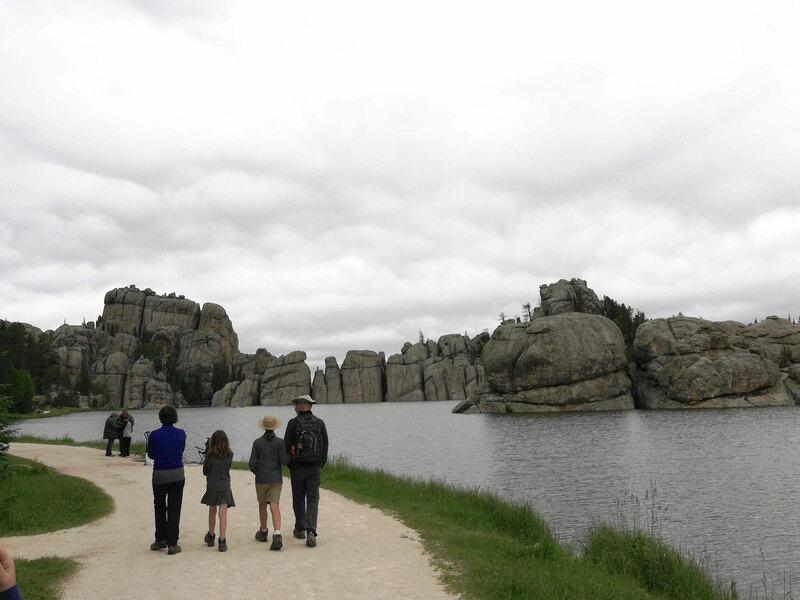 Wondering Where to Camp in Custer State Park? 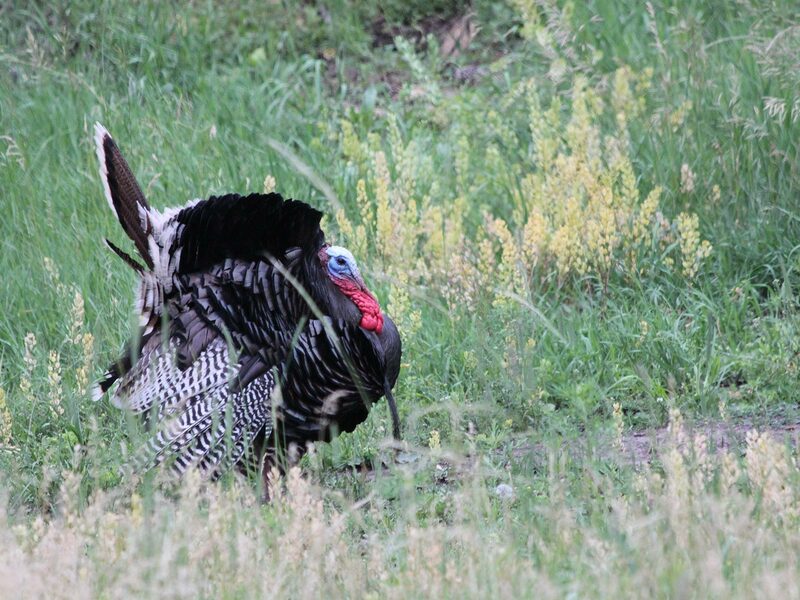 Conveniently located to the scenic Wildlife Loop Road (less then 2 miles away) as well as the impressive State Game Lodge and the Peter Norbeck Outdoor Education Center, Grace Coolidge campsites (#22-27) offer water play and fishing as a way to relax after a full day of sightseeing. A paved trail runs along the wooded shoulders of Highway 16A for running or cycling. Don't be surprised by bison roaming through your Grace Coolidge campsite. 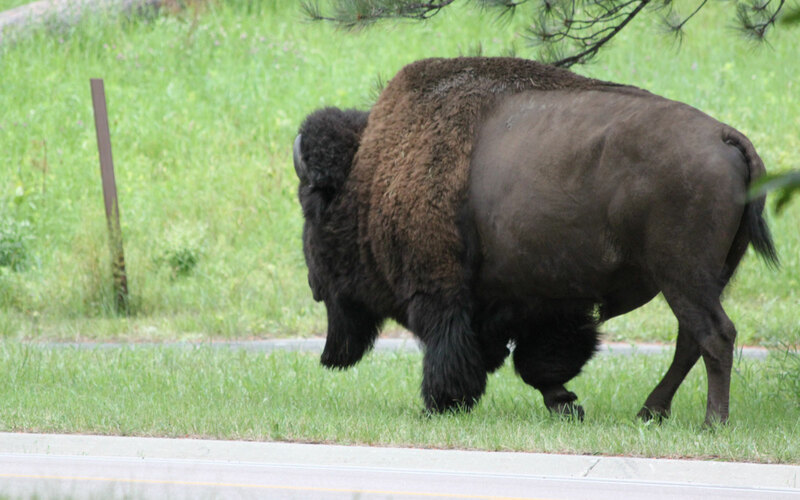 Sometime in 1914, someone had the brilliant idea of introducing a paltry thirty-six bison into the park. Really, how much damage could so few beasts do to 71,000 acres? Thirty years later the prairie biologists were realizing the full power of the law of unintended consequences when the count soared to 2500! Present day numbers total only around 1300 thanks to wildlife management practices and a yearly Buffalo Roundup every September. 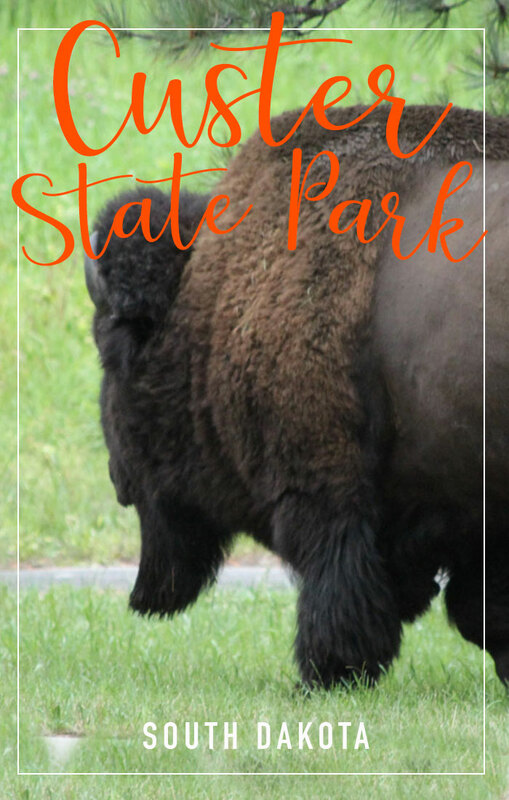 The campsites at Grace Coolidge are situated to keep you close to nature, so don't be surprised to find a bison or two roaming through the camp at any time - day or night. 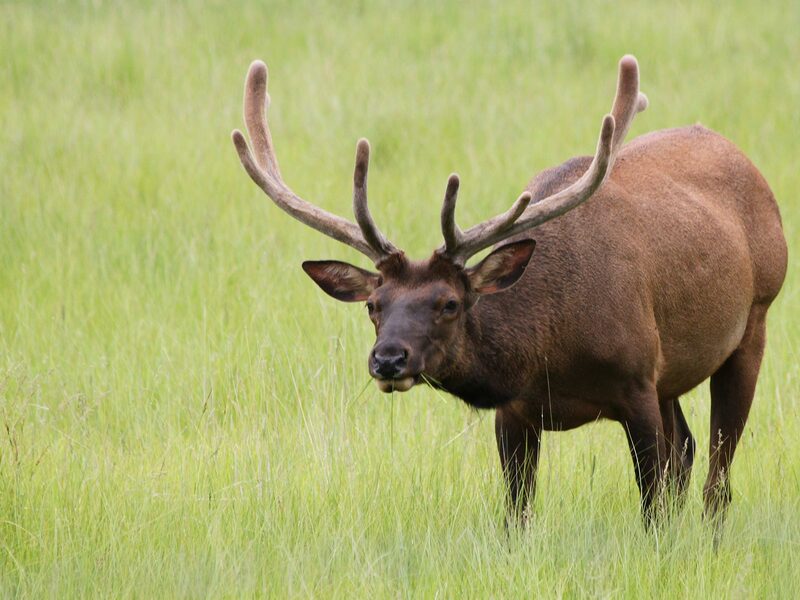 If you don't see enough wildlife from your camp chair, then plan an early morning roll out to cruise the 18-mile Wildlife Loop Road in your pajamas. 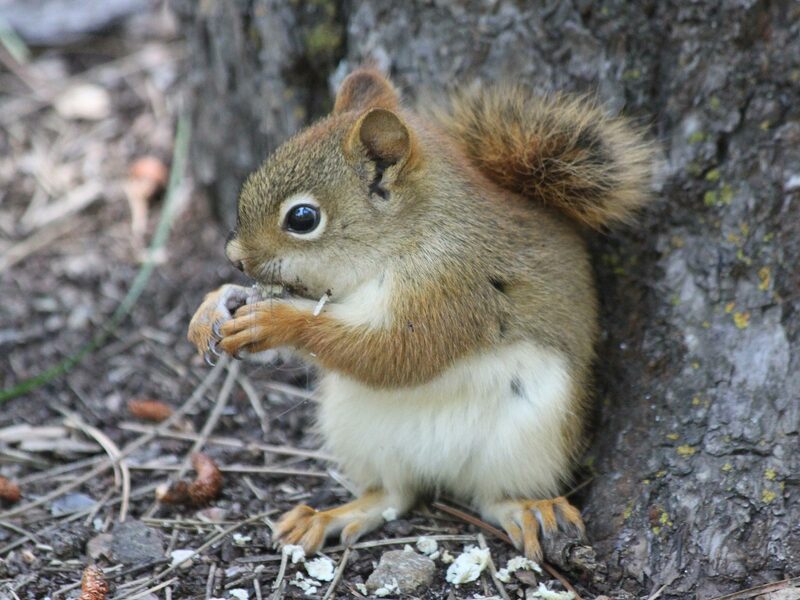 It's the best time to see the greatest diversity of wildlife in Custer State Park. Bring along a thermos of coffee and some granola bars and plan on frequent stops. As the golden hour approaches, you'll see a variety of wildlife including bison, deer (white-tailed and mule), elk, bighorn sheep, coyotes, burros, prairie dogs, pronghorn antelope, as well as enough birds to make your life list the envy of all of your birding friends. Black Elk Peak (formerly Harney Peak) is the highest point in South Dakota rising to a respectable 7244 feet. Named in honor of Nicholas Black Elk, a famous Lakota Indian, this summit is considered sacred to Native Americans. Keep in mind that even if you leave Grace Coolidge on a balmy summer morning at ~5300ft, when you summit Black Elk Peak 2,000 feet later, the temperature may have dropped substantially and the wind picked up. So pack a warm fleece at the very least - you'll be glad you did. Like many of the more popular hikes, it is best to arrive early if you want to avoid the crowds and troublesome parking. A 9am start time will get you back around 2pm at a leisurely pace. Harney Peak Trail Number 9 from Sylvan Lake is the most common route to the summit and will run around 7 miles round trip. Refill your bottles with the sweet water available from the parking area water pumps and enjoy a well-earned lunch at Sylvan Lodge. After a bit of laundry, stop for melt-in-your-mouth apple pie à la mode from Bobkat’s Purple Pie. Some people call it dessert; we called it dinner :-). 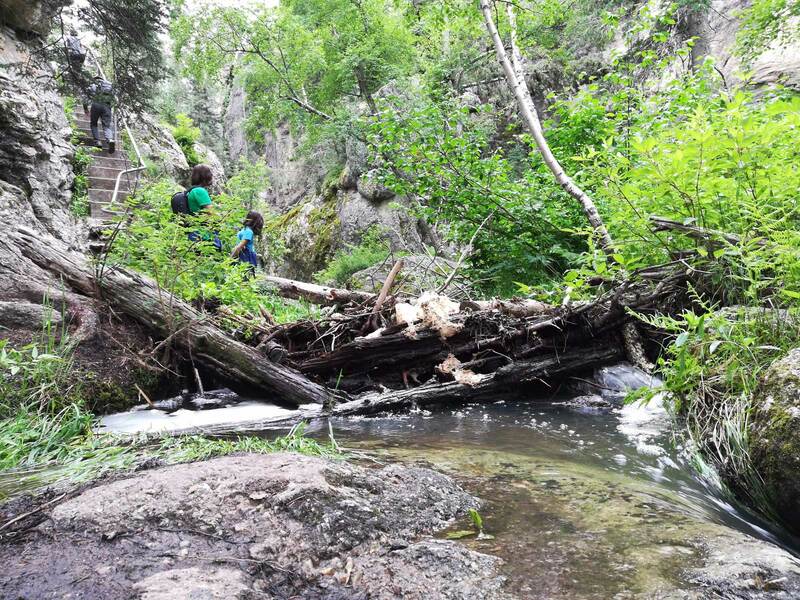 With a picturesque start at Sylvan Lake (made famous in the second installment of the National Treasure franchise), Sunday Gulch Trail is a favorite for many reasons. 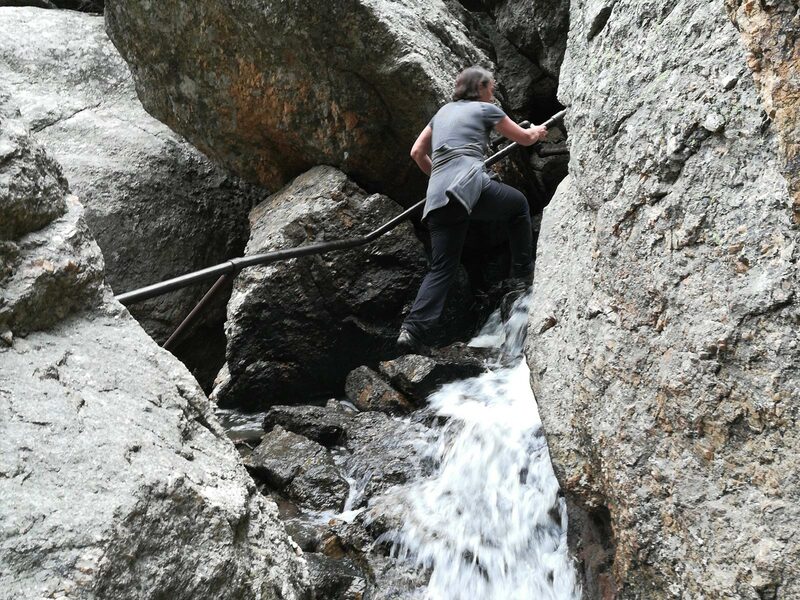 The park staff will tell you to take the trail clockwise - as the end, is better taken in an uphill direction to avoid fighting the forces of gravity on the trail made slick from the adjacent waterfall. Handrails are provided through most of this area. While dogs are allowed on Sunday Gulch, be prepared to carry a small pooch for some of the more challenging passages. The strenuous 4-mile loop travels through varied types of terrain. Bring more water than you think you need and plan on a full 3+ hours to make the distance at a comfortable pace. Allow extra time if you are a shutter bug and to simply enjoy the magnificent scenery. 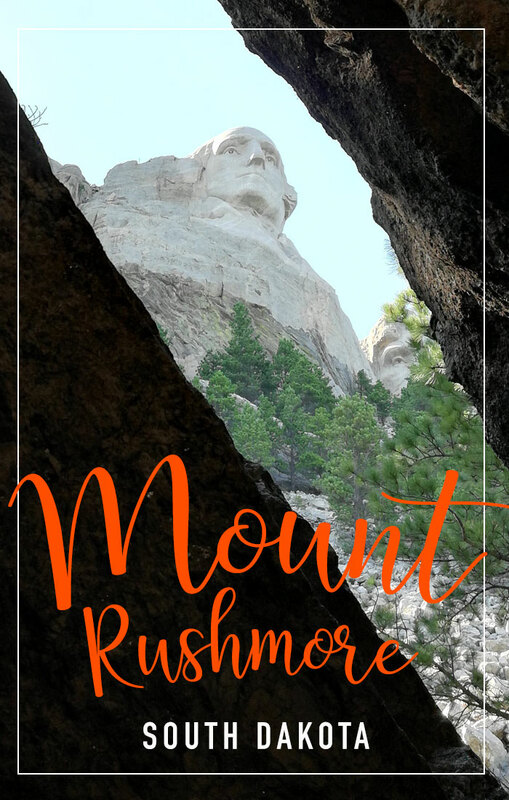 From your camp at Grace Coolidge take 16A - (AKA Iron Mountain Road)- north 17 miles for stunning views as you approach Mount Rushmore. 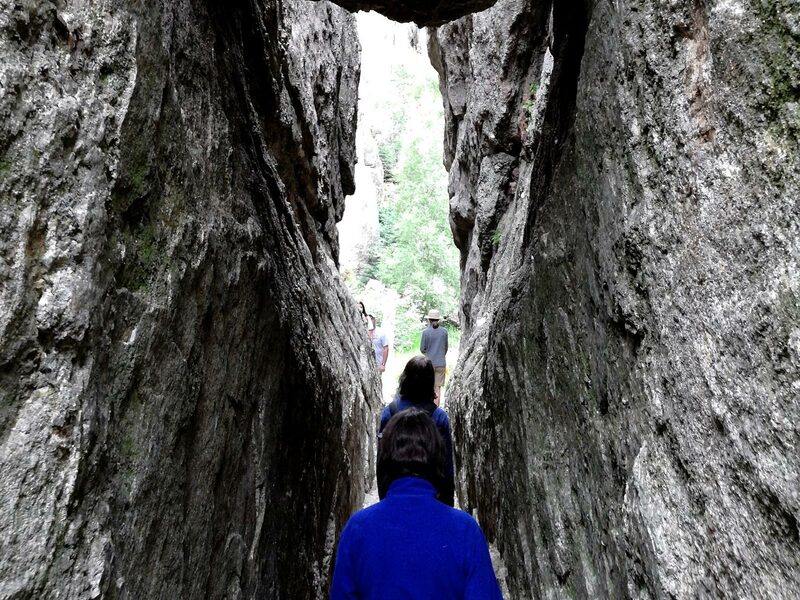 This scenic byway includes the three famous one-lane tunnels carved through rock. The tunnels are tremendously narrow --- just wide enough to accommodate our van. Anything larger than a full size SUV and you'd be asking for trouble, so be sure to check your width and height limits before attempting the drive. At a minimum, the leisurely drive will be 45-60 minutes --- the twisty pigtail bridges, multiple switchbacks, and numerous curves are designed to keep your speeds down and your spirits up. Look out for pronghorn antelope, bison, deer (mulies and white-tail), elk, mountain goats, and wild turkeys. If lucky, you might even spot a bighorn sheep or mountain lion. 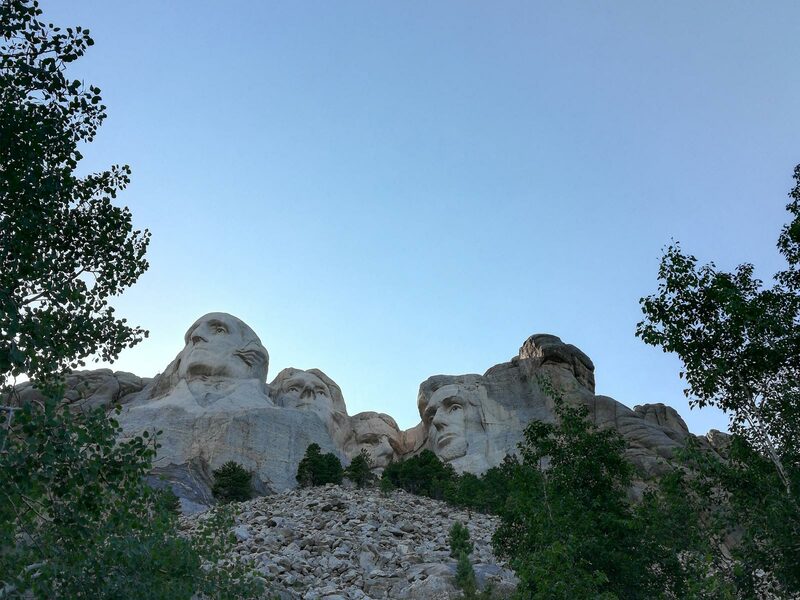 Mount Rushmore itself is a marvel and has to rank as one of the top quintessential American destinations. 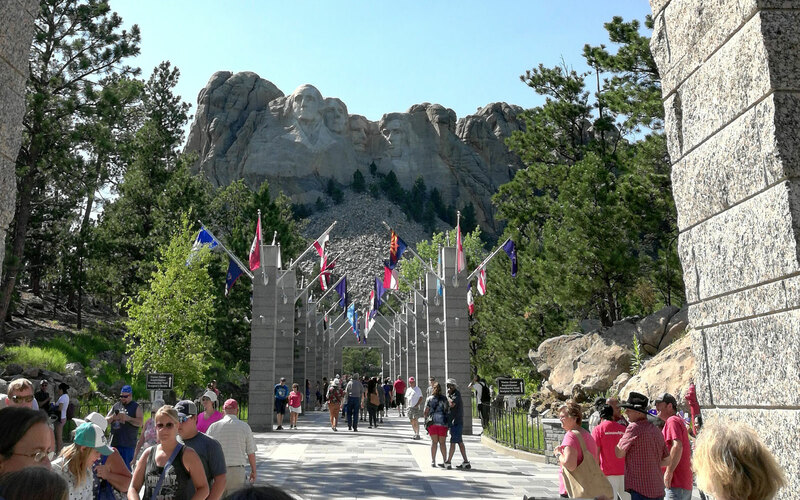 The trails that run through the site are designed for high traffic and picturesque views of Presidents Washington, Jefferson, Roosevelt, and Lincoln but are not tremendously demanding. The indoor exhibits, which focus on the history and ongoing preservation of the monument, are well worth taking the time to study. 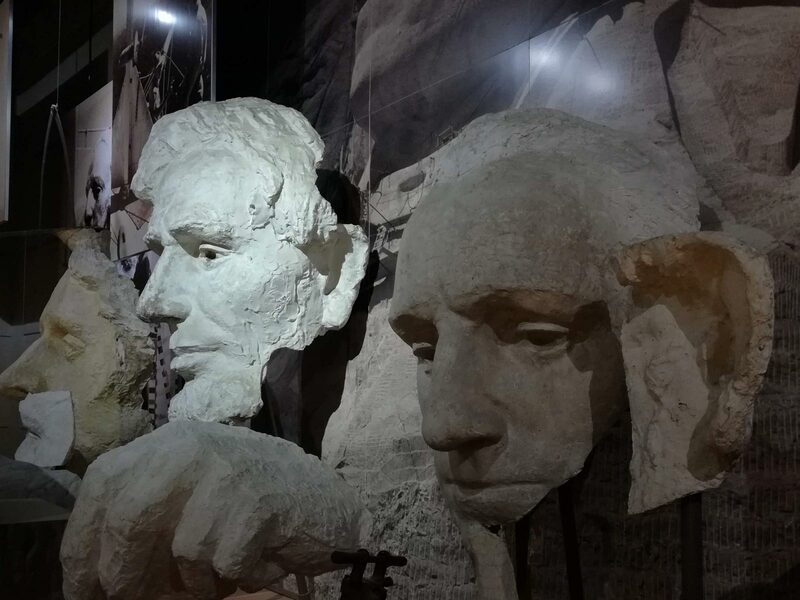 Original artifacts on display include the various tools, sketches, and small scale models that sculptor Gutzon Borglum and his son Lincoln used in the design and construction of Mount Rushmore between the years 1927 and 1941. 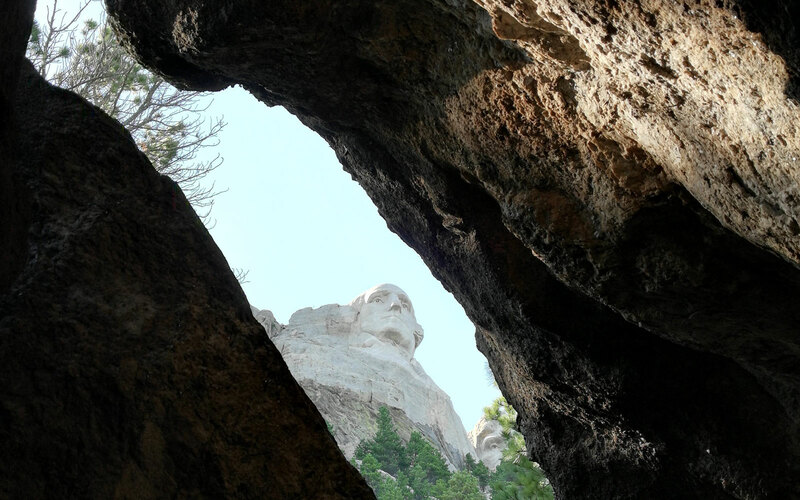 Two theaters show a short film portraying the political and social climate of the United States during the monument's construction as well as the techniques used to carve the presidential likenesses into the Black Hills granite. The Junior Ranger program helped all of us further cement our Mount Rushmore knowledge. In the unlikely event you happen to tire of natural beauty above ground, then turn your attention to the subterranean world. Jewel Cave National Monument, located about 13 miles west of Custer in the Black Hills, is the third longest cave system in the world with 190 miles of explored passages. With an estimate that only three percent of the passages have been mapped, they are still not even close to finishing. 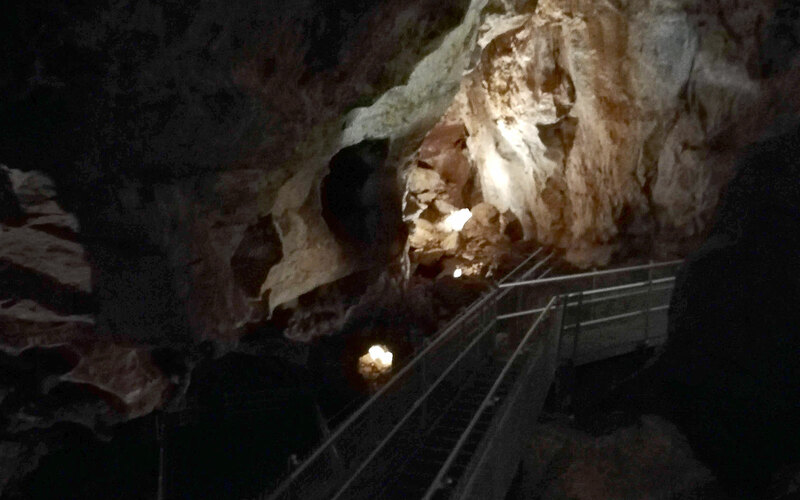 In fact, there has been speculation that Jewel Cave might connect to nearby Wind Cave National Park. 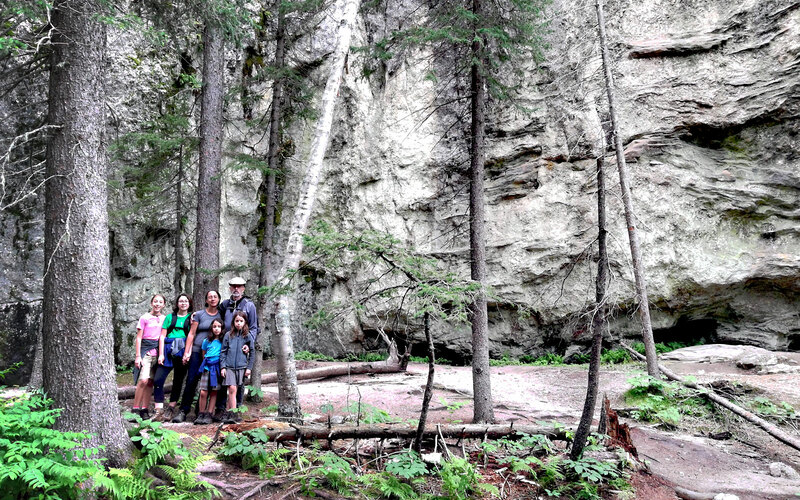 If you take the 3pm tour at Jewel Cave, then you'll have a good appetite for dinner in Custer at Black Hills Burger & Bun – which we thoroughly enjoyed. Bisonburgers and hamburgers, salads, as well as 'other white meats' are featured along with seasonal local brews. The owner/cook prepares each and every plate that leaves the kitchen which ensures a great meal. Be prepared to arrive early and wait - it's worth it. While you are passing the time for your table, visit some of the local shops in Custer. Gems, Native American art, western wear, and general stores are found in plenty. Resupply opportunities are also available if needed. Hot showers located across highway at main campground. Coolidge General Store is 1 mile east of the campground. Amenities: laundromat, fishing licenses, convenience store and gift shop, fuel. Black Hills Burger & Bun Co.
Casual dining plus the best homemade pies in the Black Hills! Experience a working paleontology worksite and Ice Age exhibit hall - summer educational programs available!